Panthers General Manager Phil Gould has opened up about the club’s troubled start to the 2019 season. Penrith are one from three to start the year and were embarrassed 32-2 by Melbourne in Bathurst on the weekend. “They’re not in good form. They haven’t been in good form since the start of the season and they need to arrest that pretty quickly,” Gould told Channel Nine’s ‘100% Footy’. Gould also confirmed that he’d reached a handshake agreement with Wayne Bennett to join the Panthers from 2019. 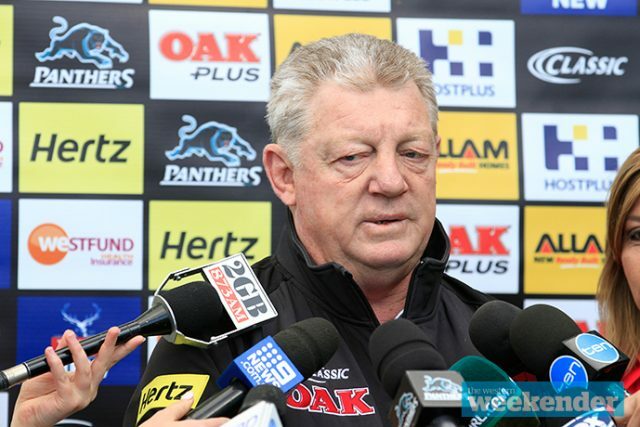 He also denied any rift with coach Ivan Cleary. “We’ve been mates for 24 years… Ivan and I are mates. Simple as that, that’s all there is,” he said. Meanwhile, a number of NRL legends have been critical of Penrith’s opening to the season. Premiership winner Glenn Lazarus believes Penrith lack enthusiasm and are struggling with motivation. “Penrith just don’t look interested,” Lazarus told Macquarie Sports Radio. “They’re not motivated at the moment, unfortunately. Jamie Soward, who won a premiership with the Dragons and was coached by Cleary at the Panthers, said the headlines surrounding the club won’t stop any time soon. 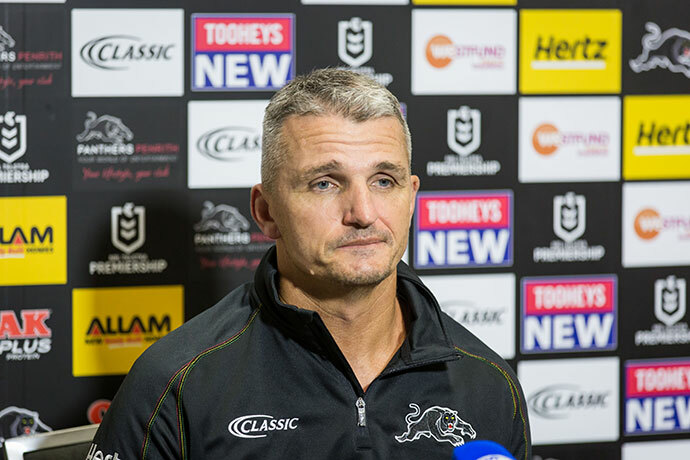 “This Penrith side is letting in an average of 22 points, the Nathan Cleary story will be talked about all year,” he told Macquarie Sports Radio. Meanwhile, club legend Mark Geyer said it was important that Cleary and Gould were on the same page. “I find it sad if they are still not on talking terms,” he said on Triple M this evening. The Panthers play the Wests Tigers at Panthers Stadium on Friday night.